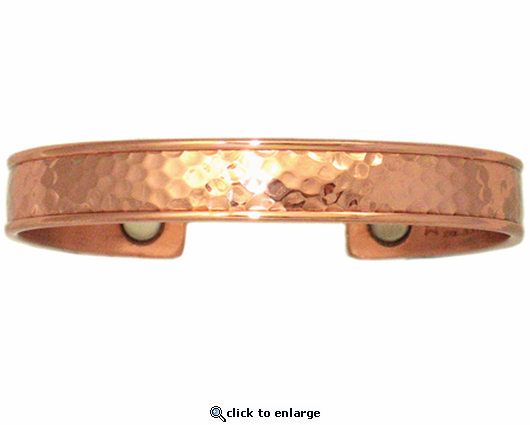 This Sergio Lub style #733 Hammered Copper handmade copper magnetic bracelet has two rare earth magnets and is made of pure metals. No plating is used and it is Made in USA. It is just a bit wider than 1/3".